The Bellavita gently lowers users with restricted mobility down to bottom of bath for bathing and relaxation then raises them to top again for safely getting out, all at the touch of a button. 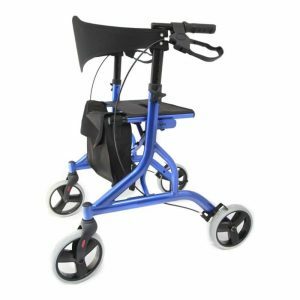 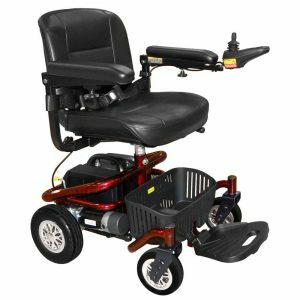 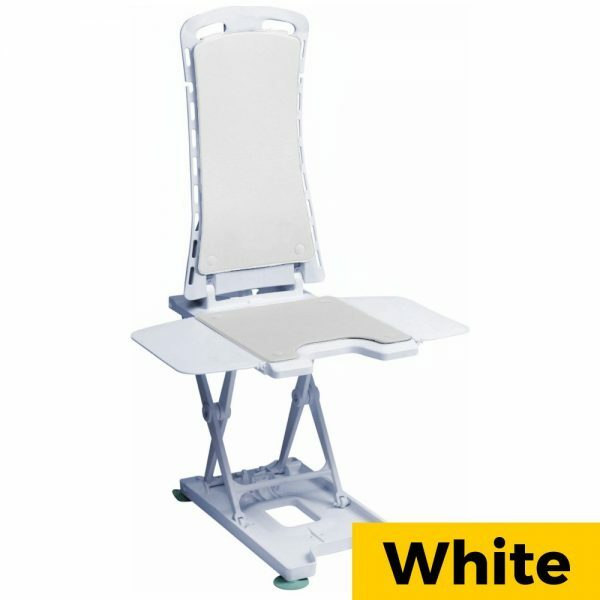 The backrest reclines to a market leading 50º to suit users requiring greater hip-to-back sitting angle such as stiff hip. 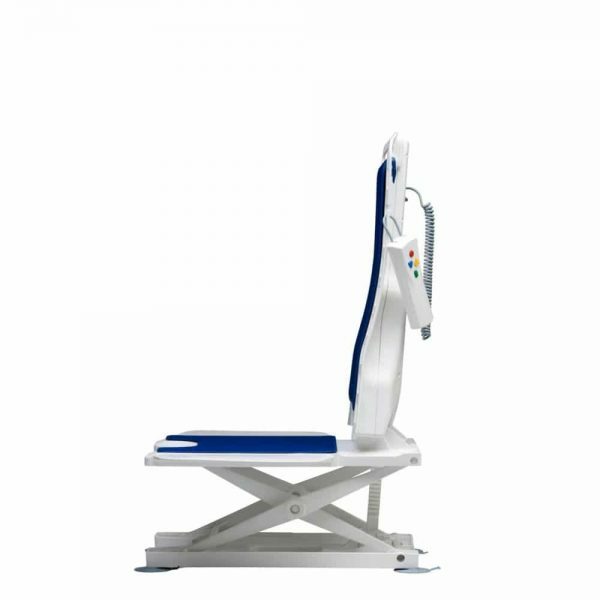 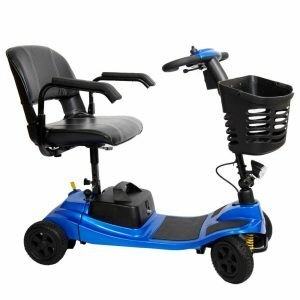 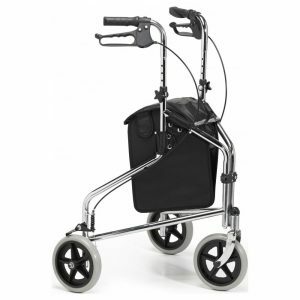 The seat features a useful front cut-out in seat improves access for personal hygiene. 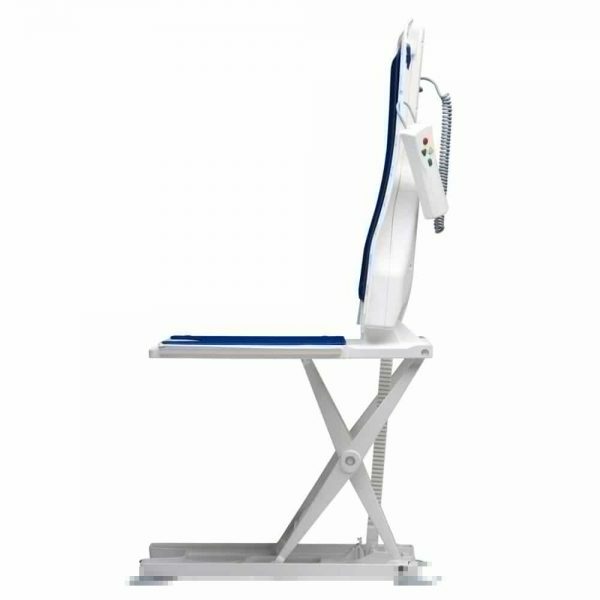 The lift also includes quick-release suction feet allow for struggle-free removal from the bath before separating easily and quickly into 2 lightweight sections for storage and transport. 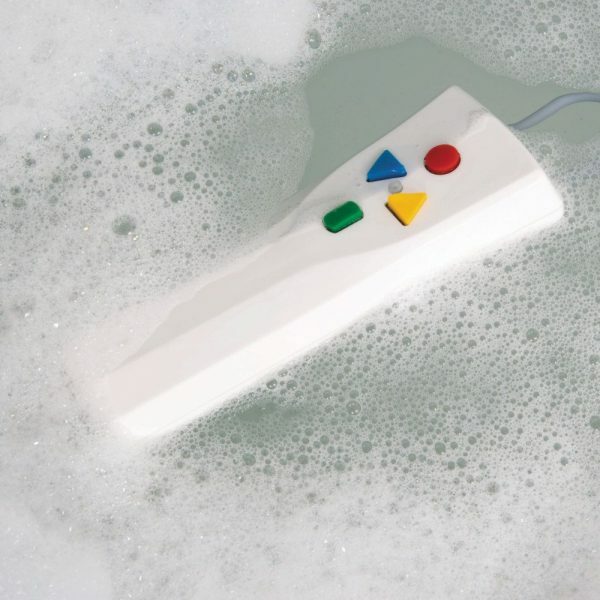 The handset is lightweight, waterproof and floatable, and features an emergency stop button to provide optimal safet, and the simple, user-friendly jack plug connection to charger is easy to use. 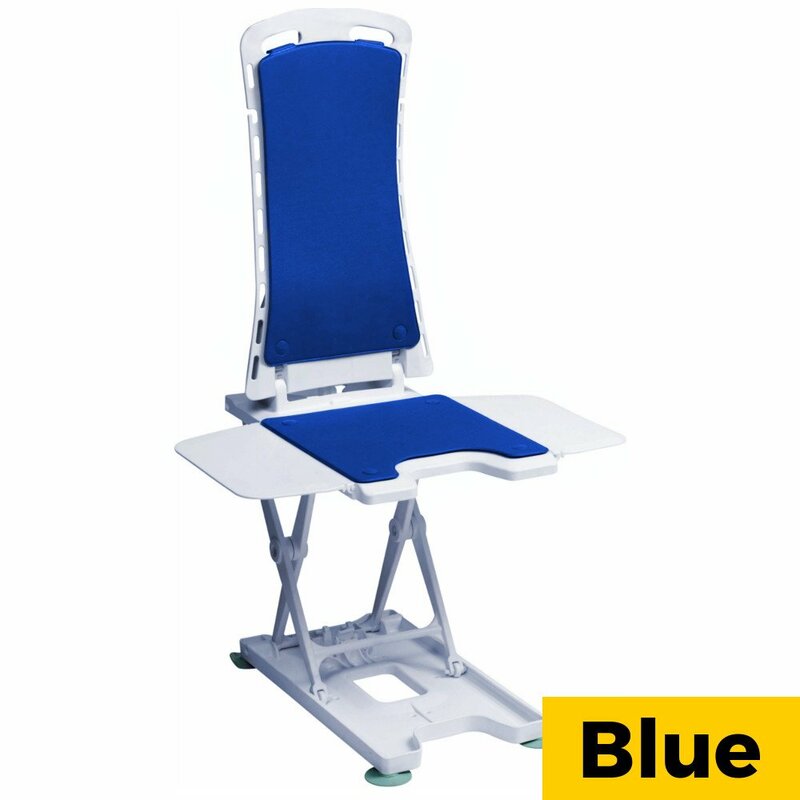 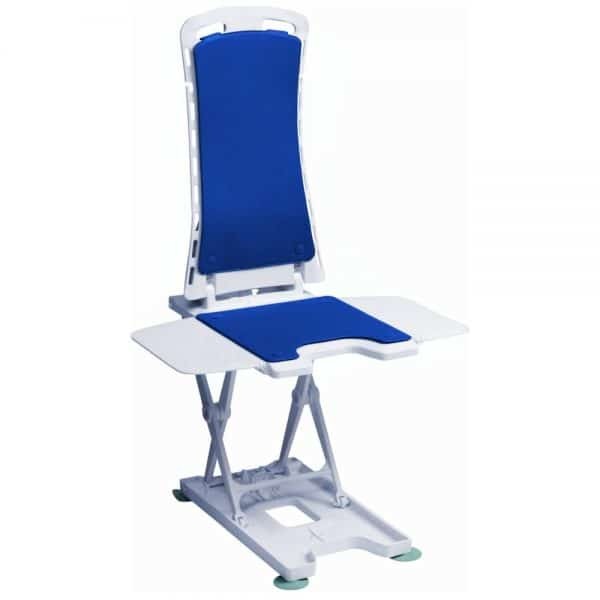 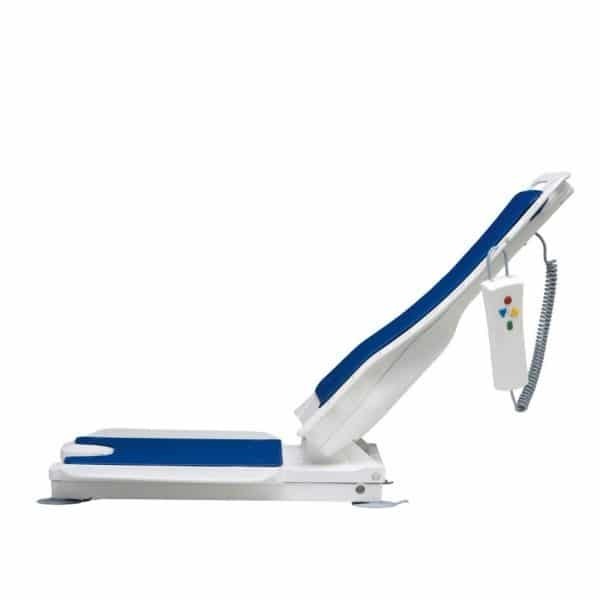 The lift comes with a choice of blue or white padded covers and a wide range of optional extras are available to enhance bath fitting and to accommodate a greater range of users including children. Please contact us for more information.